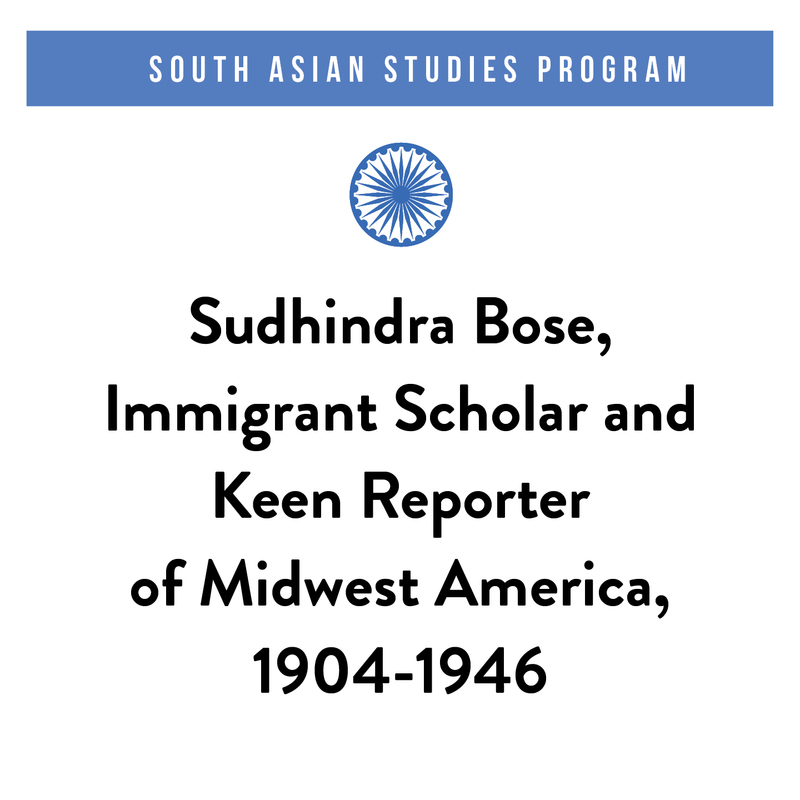 The South Asian Studies Program will present a talk by Paul Greenough focused on the life of immigrant scholar Sudhindra Bose and his observations on Midwest America during his time in Iowa City from 1904-1946. This talk will take place from 4:30-6 p.m. on Thursday, November 8, in 1117 University Capitol Centre. Sudhindra Bose arrived in the U.S. from Bengal in 1904. Nine years later he completed a doctorate at the University of Iowa and settled down to teach oriental and world politics in Iowa City until his death in 1946. Back in Bengal, his informed and usually frank observations about American life were consumed by nationalist opinion leaders, who were eagerly searching for foreign models of democratic practice. At the same time, Bose strongly defended Indian nationalism against those American critics for whom racialized foreign rule in India was an established and necessary fact. Paul R. Greenough is an emeritus professor of modern Indian history and of community and behavioral health at the University of Iowa. He was the director of the university’s South Asian Studies Program and co-director of the Global Health Studies Program. He earned his bachelor’s degree from Columbia University and his Ph.D. from the University of Chicago. His recent research concerns themes in India’s environmental history and the history of public health and the introduction of field epidemiology into the post-colonial world. Among other works, he is the author of Prosperity and Misery in Modern Bengal: the Famine of 1943 (1982) and co-editor of three collections: Nature in the Global South (2003), Against Stigma (2009), and The Politics of Vaccination (2017).